Tootsie Clark's Eatery serves an amazing line of food that attracts diners from far away as well as locals who love her breakfast, lunch and dinner year-round. Marblemount holds a special place in my heart for many reasons. First, it was the home of Matilda Clark Buller, one of the most dynamic and interesting women of the Western frontier. 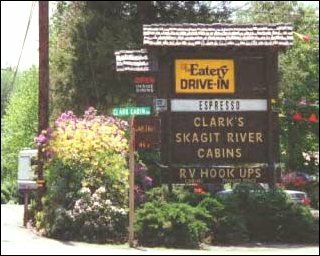 The present Skagit River Resort and Clark's Cabins are the result of her tireless efforts to bring civilization and civility to the mining area upriver. Granddaughter Tootsie Clark and her son Don and her daughter Judi have continued that spirit and share the joy of a job well done. Second, it is the home of the Peterson family, who kept travelers' cars full of gas and out of ditches besides sharing tales and history with anyone who listened. State Senator Lowell Peterson was one of my father's best friends and one of the key backers of the present Highway 20 to Winthrop. And his brother Marv has been a mainstay in town for decades. You will find below a link to the unique perspective of their father, Otto Peterson, on how moonshine was marketed in the days when revenuers combed the hills for stills. Just across the steel bridge over the Skagit, William and Maggie Barratt fought the elements and the river for years and established a home away from home for miners and travelers and the first makeshift hospital for homesteaders and pioneers. And the memory of Sadie's Marblemount Hotel still lingers on. We will eventually bring you stories about all these great folks and many more. We just need your help to supply us scans of photos and copies of documents, along with your family memories, to help paint a picture of this unique village that has defied time. We will also soon be sharing photos and a story about the amazing evolution of the "hippie farm" that Gene Kahn and partners began near Marblemount in 1972, which developed into Cascadian Farm, one of the world leaders in organic food and its production and marketing. The present incarnation, Small Planet Foods, has its headquarters in downtown Sedro-Woolley. Above: Don Clark strolls through the beautiful woods of the original Bullerville. Photo courtesy of Frank Varga, Skagit Valley Herald, 1988. Marblemount is a small town a half-mile upriver from the mouth of the Cascade river [where it meets the Skagit]. A couple of hotels, two stores and three beer parlors scattered over a mile of state highway comprises Marblemount today but, in 1890, 1500 miners made it, in the words of several astute boosters, "The Coming Leadville of the Pacific." For in the Cascade valley near Gilbert's cabin hundreds of prospectors hacked at outcroppings of Galena ore and silver and lead. The Boston mine was sold for a half-million dollars in cash, others for hundreds of thousands as everybody was going to strike it rich and retire. But alas, silver was devalued overnight and the boom broke. Overnight, also, the town of Marblemount was a deserted village. People with homesteads, who could not leave until they proved up on them and sold them to the timber companies, stayed on hoping soon to return to God's country, as they called the downriver land. My brother, Carl Buller, had left Sedro-Woolley in the spring of 1890 and in a two-day hike over Indian trails, reached the claim of George Engles, on which the town of Marblemount now stands. He asked George where he could live to get a government claim. George said: "There is a Norwegian squatting near my claim, but he can't hold it, so go up the river a mile and locate there. So Carl did and his was the last claim located at the time. Everything else had been taken as far up as Goodell Creek. [Later from] Sedro-Woolley, Carl, Mother and I took the "Indiana," a sternwheeler, upriver but it only went to Rockport, leaving us on the riverbank. Next week the "Henry Brady [actually Bailey, see below]," another boat, picked us up and went as far as Rocky Riffle and again we were put ashore just two miles from what later on was Marblemount. Following an old Indian trail with what belongings we could carry, we came out on the river bank where a large pile of groceries were covered with a tarpaulin. A man with a pair of scales set up under a canvas fly was already doing land office business in supplying the miners. About fifty feet downriver a shake building with walls and roof, but no floor, had a plank laid across two whiskey barrels and was in operation as a saloon. My mother asked Frank Stewart, the "storekeeper," what was going on. He told her that someday this would be a large city. "What we need most need now is a hotel," he said. Mother replied: "I am a hotel operator." Stewart called over George Engles, introduced mother, whose first question was "Where can I build?" A small clear spot fifty feet from the saloon on the river bank looked like a good spot. Engles told her: "There is 16 acres here, take your choice, but I would suggest that little opening in the timber." Morgan Davis and Alex Adkins came across the river in a canoe shortly afterward with a lot of marble samples and said they had found a mountain of it. Mother suggested that if this was so, we should call the new town, "Marblemount." All agreed the name was perfect. 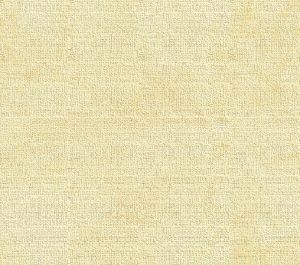 The next step was to send to the postal department for the necessary stamps and so forth, plus the appointment as postmaster. These came through in time but no mail carrier was appointed to bring the mail up from Sedro-Woolley. As there was only the trail and the riverboats part way, you would see a man in a big sombrero or a tall stove pipe hat walk into the hotel, take off the hat and remove a packet of letters. This was the latest mail from the outside. Later, mail began to arrive by canoe and that fall a man on horseback got the mail contract for the regular service. In the worm, beckoning days of mid-August I took a long drive upriver to check in at Clark’s Skagit River Cabins at what I always thought was a part of Marblemount, though they have a post office address of Rockport. The place is actually located at what was historically known as “Bullerville,” and indications are that it may be called that again, when and if we get caught up with the accomplishments of our past. No, I did not check in as a guest at the Cabins, though they looked inviting enough. That will have to wait until calmer days in autumn, when I can take a few days to explore this part of the “American Alps,” and spend some time on a cool evening, gathered at a wood fire with people who have been a part of the history of this region. It seems that every time I have asked a string of questions about events “Up-River,” I have been told that I have to talk with Tootsie, at Clark’s Cabins, where she has assembled a local museum, and has many of the answers. Well, Tootsie was easy to find, standing in the middle of the accommodating restaurant that seems to do quite a business with the locals, as well as for people passing through. I had planned my visit between meals, so as not to take her away from a busy time, but Tootsie was busy anyway, clearing up from the noon meal and making preparations for supper. Besides, there were a number of people sitting around, enjoying cinnamon rolls, pie and other goodies with coffee. Further, the electricity had just gone off, causing great concern as to how the next meal would be prepared. However, Tootsie did take time off from her other concerns, poured cups of still-hot coffee, and graciously sat down with me to answer a few of my questions. For one thing, I knew that “Skagit Bill” Pressentin had married a Rona Clark, daughter of Abb Clark, who operated a grocery store at Rockport. Were those Clarks related to the Clarks of Clark’s Cabins? The answer was yes. Tootsie had married Rudy Clark, whose father was Dolph Clark, who had come from North Carolina. Abb Clark, the father-in-law of Skagit Bill Pressentin, was an uncle of Rudy Clark. Incidentally, Abb Clark seems to have been one of the pioneers of that famous group of “Tarheels,” folks who came from North Carolina to make their homes in the hills and woodlands of the upper Skagit River country. Will Jenkins, author of the book “Last Frontier in the North Cascades,” has much to say about these people and their rich contributions to Skagit County culture, and makes it very clear that their women --- particularly the daughters of Abb Clark --- were very prim, proper, and of very desirable acquaintance. After all, “Skagit Bill” Pressentin courted and won the hand of Rona Clark, Abb Clark’s elder daughter, and there is no doubt that she contributed a great deal to “Skagit Bill’s” well-being, happiness and growing fame as a man who epitomized the character of the Upper Skagit region. Among notes that I have collected is the statement that Rona Clark’s mother, Hannie Wright, was one of several sisters who had come from North Carolina to this region of the North Cascades as school teachers, laboring to bring the lights of education into the make-shift classrooms of these emerging communities. Well, Tootsie Clark is also the daughter of Richard Buller, and granddaughter of the estimable Madame Professor Matilda Clark-Buller, a pioneer teacher, lecturer, free-thinker and hotel keeper of Marblemount, Burlington and Seattle, who did much in her own right to bring enlightenment to the populace. The place now known as Clark’s Cabins and Restaurant is the site of old “Bullerville,” the place where the Buller Brothers had their mill and logging camp, and where many great dances and banquets and gatherings were held during the early days of Upper-Valley doings. Tootsie tells me that her children, Judy and Don, now both grown and with families of their own, are taking a greater interest in family history, the management of the Cabins, and there seems a very good chance that “Old Bullerville” may be reborn, as one of the great and fulfilling attractions of the Upper Skagit County. Will let you know more as it is revealed. On Saturday last week, the day between Good Friday and Easter Sunday, I managed to break away and head up the river to Clark's Skagit River Cabins, just this side of Marblemount. I thought that this might be a good time to ask questions and get some historical information before the weather warms up any more and the tourist season gets under way. What I had not realized was that Tootsie Clark and her gang are very much a part of the greater Marblemount community and are very active in all the local doings there. Further, that the bunnies as well as the deer are symbols of Clark's Skagit River Cabins, there being lots and lots of both species there, and that bunnies are also a big attraction around the time of Easter. An Easter egg hunt on the grounds was being readied for Easter Sunday, and of course, a number of people in the Marblemount area had elected to have their Easter dinner at the restaurant the Eatery Restaurant, operated by Tootsie Clark and her family. But I did get a chance to talk with Tootsie in the midst of preparations, and also got to meet with her son, Don Clark, who is in the process of planning for expansion of their approximately 120-acre site, and the further development of what use to be called Old Bullerville, the mill, logging camp, farm and ranch of the original Buller Brothers, Carl, Wade and Richard. Tootsie is the daughter of Richard and Ethel Buller, and it was with her husband, Rudy Clark, that they developed the plan for Clark's Cabins, even before the North Cascades-Highway came through with its encouragement of facilities for tourists. There was always an allure to the North Cascades, to the "American Alps" country, accessible through Marblemount, and Tootsie and Rudy found a ready demand for cabins built originally for mill hands, augmented by newer cabins, wash and laundry facilities, restaurant services, and camping and RV places. Tootsie was mentioning a time when her mother, Ethel Buller, had hit upon the idea of establishing a cheese factory at the site of Old Bullerville. It was the time of the depression, logging was down with no market for lumber, and the only thing around besides deer and bunny rabbits, were the cows that had been brought in to graze among the stumps where the trees had been cut. Ethel Buller took herself to the State College at Pullman, where she learned all she could about making cheese and what equipment and facilities were needed to make it. With this information she headed back to Bullerville and set up the Glacier View Farm and Cheese Factory. I didn't find out how long the operation lasted or how successful it was, though Tootsie mentioned that it was a very good product, well-regarded in its time. What did capture my attention was that the factory utilized flumes of pure mountain spring water, and that vats and tubs had been set up that could be heated to any desirable temperatures. These were emptied and scrubbed regularly, and when not being used in the process of cheese making, could be used as early-day hot tubs, for luxurious bathing and soaking, great boons to anyone who has been laboring long in the woods or on hot, dusty trails. To troops of CCC Boys, building access trails for parks and scenic places, and to the loggers, mill workers and shingle weavers, a hot bath was a mighty fine idea, preparing for a Saturday night dance. There is still more story to come! Last week I was sharing with you some of the memories of the accommodations at “Old Bullerville,” now Clark’s Cabins, just this side of Marblemount, as remembered by Tootsie (Buller) Clark. Tootsie’s mother Ethel (Mrs. Richard) Buller had operated a cheese factory at the site of the Buller Brothers lumber mill, which utilized vats and tanks of pure mountain water that could be heated by boilers for regular scrubbings and thorough clean-up required. On Saturday afternoons, when the tanks were routinely scrubbed out, it was found that the huge tanks and tubs could be used for soaking and bathing, somewhat like modern hot tubs, or like ancient Chinese or Roman Baths. Here the women bathed first, which was a rare luxury in those early days. The usual procedure in pioneer times, when the was tub was lugged into the cabin, filled with water heated on the kitchen range, was for the mother to bathe last, in the tepid to cool, grey water left after all the family had taken their turn. Here, in the ample, hot tubs of Mrs. Buller’s cheese factory, the women had space and clean, hot water enough for the most luxurious pleasure of all, of letting down and thoroughly washing the masses of long hair that were commonly worn in those days. Tootsie has bright memories from childhood of watching women who she had thought of as old, pinched and crabby, coming out of those washing sessions with their hair as soft and clean and flowing as an angel’s aura, and more radiant and happy then she had ever seen them before. In the evening the men would come in by the truck load. The CCC had camps of men working in places like Bacon Creek, Komo Kulshan, and as far away as Baker Lake; boys, really, from places like New Jersey and Pennsylvania; always eager to come in from the woods for social recreation. Local, and perhaps less colorful men came in from the logging camps, and they all cleaned up well in the scrubbing tubs, the men more rowdy and boisterous, where the women had been more silent and serene. Music for dances in Bullerville at that time was always provided by “The Three Blind Mice,” a talented trio consisting of Mrs. Patton, wife of an early settler, on the piano, and two sisters known collectively as “Wheeler & Glover” on the violin and drums. “Wheeler & Glover,” besides furnishing lively, foot-stomping music for local dances, owned, operated and maintained the early iron-wire telephone line from Concrete to Marblemount, and were frequently out in storm times in that most rugged country, making repairs and keeping the phone lines open. And in Old Bullerville, their music was as legendary as the women themselves. In those pages you will learn more about Matilda Clark Buller, who moved to Seattle from Pennsylvania in 1888 with her husband Henry, a Civil War veteran. She was a milliner by trade, designer of special hats for ladies. But her resume would have delighted Buckminster Fuller. She was of German descent, Pennsylvania Dutch in the parlance of those days. Her roots in America went back to the Mayflower and passenger Thomas Clark. Her husband was related to Sir Redford Buller of South African fame. Most important to early settlers, she was an educator and had the most impressive set of credentials in the county as she taught her own children, those of other settlers and upriver Indians. Up until her marriage she taught for five years in Pennsylvania and earned the title, professor. Like Alex Boyd of Birdsview, she brought intellectual weight to the river settlements. A free-thinker and theosophist, she argued the merits of socialism. In the late 1890s Matilda and sons Carl and Richard went to the Klondike and established a roadhouse while staking a gold claim. After a squatter tried to steal her property and possessions here, she even started packing a sidearm. After a few years in Seattle (where her husband died in 1903) she returned to Marblemount where she started another roadhouse near Corkindale Creek and eventually established the Glacier View Cheese Factory, which Richard's wife Ethel carried on. Although her husband, Henry, was often an invalid, he and his sons became early entrepreneurs with two sawmills, a veal ranch, a bulb farm with narcissus, daffodils and tulips, a lilac nursery, and a truck farm where he grew garden fresh vegetables that he sold as far away as Seattle's Pike Place Market. During the Great Depression, the Bullers lost their home place but Richard Buller bought the land around the present Skagit River Resort and he and his sons rebuilt the sawmills here, added a new dance hall and even had a railroad spur put in right to the mill site, which became known as Bullerville. His daughter, Madrene, who we know as Tootsie, was the bookkeeper and she rubbed shoulders with all the pioneers still living and their descendants. In 1953 the last mill burned, and the Skagit River Resort was born with what Tootsie calls the "tarpaper shacks" from the original lumber camp. Clark's Cabins evolved slowly and gained momentum with the opening of the North Cascades Highway in 1972. After an expansion in 1982 and later addition of beautiful American-History theme cabins and the Brookhaven Bed and Breakfast, Skagit River Resort eventually became a touch of heaven for North Cascades travelers. While visiting Skagit River Resort and Bullerville, please stop and admire the murals at Clark's Eatery that were painted by noted valley artist Don Smith. They chronicle this marvelous pioneer family. You will also see Matilda Buller's flag, which granddaughter Tootsie has preserved. Finally, don't be surprised if you encounter more bunnies than you can shake a stick at. But you better not be caught shaking any sticks at them. They are the mascots of the place, along with the deer that frequently feed nearby. Tootsie and her late husband, Rudy, went to Friday Harbor years ago to help relieve San Juan Island of its over-population of bunnies and formed their own refuge at Clark's Cabins. Here are links for more information about the Marblemount area. Please share with us any information, memories and photos that you and your family have. Glacier Peak Resort and Winery, formerly Skagit River Resort and under new ownership in 2015. They still have a page on their Resort history at this link. Upriver section with links to stories about each upriver town.